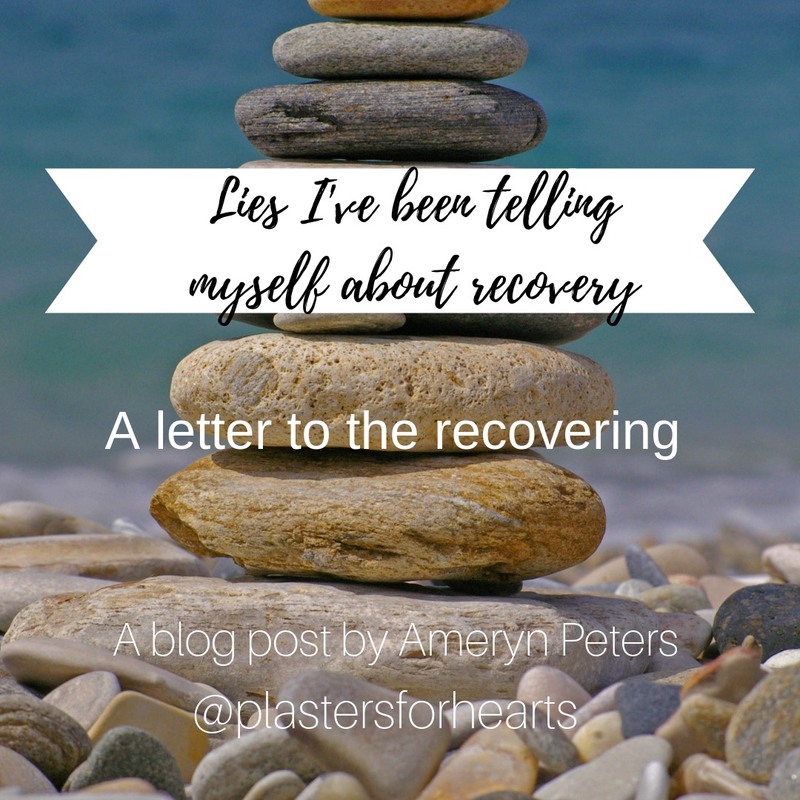 This is a letter to everyone on the path of recovery, or wanting to begin that journey. We are all in this together. For the last few months, I have been having depressive episodes that made me feel weak and guilty because I am 'supposed to be recovering.' I thought that I was either healthy and happy enough to be able to live life to the fullest and write and help others, or I was a failure at recovery and shouldn't be writing any blog posts because I couldn't even follow my own advice. There was no in-between for me. Recently, due to some miraculously divine intervention and also reading a book called "Eleanor Oliphant is Completely Fine", I have finally realized the truth about recovery, and indeed life. There is no 'black and white' with regards to happiness and depression, being mentally ill and mentally healthy. It's possible to be very close to the edge of either side, but life is full of grey areas and you shouldn't devalue yourself for not being perfect. Almost no one is completely fine all the time, and you shouldn't feel guilty for that. Another revelation: it's possible to be fine while not being fine at all. And that's a good thing. Let me explain: for a long time I had thought that if I was depressed, that depression HAD to infiltrate into every aspect of my life, and I wasn't allowed any moments of happiness. So I didn't let myself feel happy. But that is another lie. It is a lie that depression told me, and a lie that I chose to believe. Life is full of good and bad moments, and we should embrace them as they come. You CAN allow yourself to be happy even though you're struggling with a mental illness. Don't feel like you're not "sick enough", because that's another lie. You are allowed to have moments to clarity whilst suffering from derealization or depersonalization, you are allowed to have a burst of happiness in the midst of your depression.You can be fine and not fine at the same time, and THAT IS OKAY. Who knew?! You can make art, write music, and share your experience with others while still suffering from mental illness. You don't have to be on the other side to talk about what you're going through. You can go through life knowing that you have lots of work to do on your mental health, whether that be on PTSD, body dysmorphia, or anxiety, but still choose to enjoy life. But I must be clear: it is NOT an avoidance technique. That is unhealthy. What is healthy, is not allowing your mental illnesses to dominate your life. Please don't give them that power over you. A lot of this is a choice. And we don't realize it, but we have control over our choices, more than any mental illness. So go and make art, make people happy, live your life and enjoy it in the face of your mental illness. Imagine that every time you make a healthy decision or do an act of self care, you are laughing in its face. Because there is a time and place for everything, like it says in Ecclesiastes 3:1-8 and every second of your life doesn't have to be spent focusing on and worrying about your mental illness. There's no point in carrying it around with you all the time, rather I think it's healthy to develop the ability to be able to put it away for a second and enjoy life until the time is right for you to bring it out and work on it (like in therapy). Free yourself from the lies that you've been believing about recovery. Recovery doesn't have to mean being a mental health guru, or a hippie who meditates all the time. Real people with real lives are recovering everyday and they are doing it bit by bit, because everything doesn't have to (and can't!!) happen at once.